1. 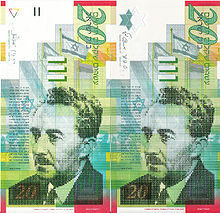 Israel Bak was born in 1797 in Berdichev, Ukraine, where he became a printer and published close to thirty Hebrew books. 2. In 1831, he made aliyah, settling in Safed his family, two printing presses and tools for casting letters and for bookbinding. 3. No Hebrew book had been printed in Eretz Yisrael for 245 years. 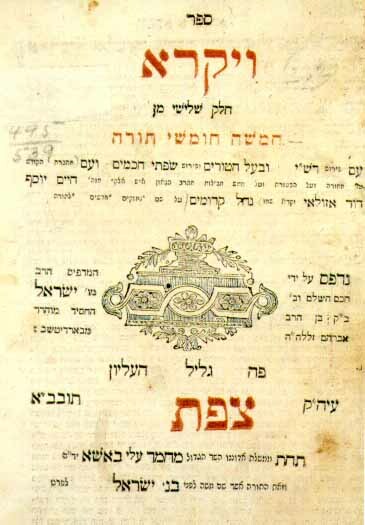 In 1832, Bak printed a Sephardi prayerbook, reviving a moribund industry. The next year, he published the Book of Leviticus, the first book of the Pentateuch ever to come from a printing press in Eretz Yisrael. 4. After a peasant revolt in 1834 that destroyed his press and injured him, he began farming land on Mount Yarmak, overlooking Safed. His was the first Jewish farm in modern times. 5. He continued publishing, as well, the press employing 30 people at its height. But ill fortune continued to plague the people of Safed – an earthquake in 1837 and a Druze revolt in 1838. Again, his press was destroyed. In 1841, he moved to Jerusalem and established himself there, the first Hebrew press in Jerusalem. He continued printing books, some 130 in all, for 33 years. 6. He was a close correspondent of Moses Montefiore, who gave him a new press for his shop in Jerusalem. 7. In 1863, he founded the newspaper Havazzelet, but this venture was closed down by the Ottoman government after only five issues. After his death it was revived by his son-in-law and, though continually troubled, became an important organ for the Chasidic community. 8. With his son Nisan, he was a major force in establishing a central synagogue in Jerusalem for Chasidim. He died in 1874. In Tel Aviv, you’ll find Yisrael Bak Street near the Ayalon River at Shekhunat Montefiore. 1. David Yellin was born in Jerusalem in March 1864. He was educated at the Etz Hayim Yeshiva there, but in 1882 enrolled in the Alliance Israelite Universelle. At age eighteen he became a teacher, and eventually he headed the Lamael School. 2. In 1903, he was one of the organizers and also first president of the Teachers Association. 3. 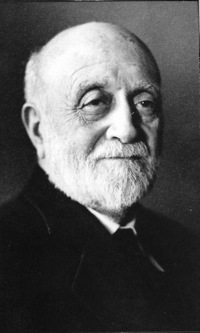 In 1913, Yellin resigned his position as director of the Lamael School over the issue of using German as the dominant language. He was a firm advocate for Hebrew. 4. He founded a Hebrew teachers’ seminary at Beth Hakerem, where he served as director until his death. The David Yellin College of Education still exists today. 5. He helped establish the nucleus of the Jewish National Library, now housed at Hebrew University. 6. He served in many political capacities, including the Jerusalem Municipal Council, Deputy Mayor of Jerusalem and president of the Jewish National Council. 7. A member of the Ottoman parliament, he joined the Zionist movement (1913), one of the first public figures to do so openly. During World War I, he was exiled to Damascus by the Ottomans. While in exile, he served with the American Palestine Relief Committee. When the war ended, he was a member of the Jewish Committee to the Paris Peace Conference. 8. David Yellin died in Jerusalem in December, 1941. In Tel Aviv, you’ll find David Yellin Street just north of Jabotinsky and west of Kikkar HaMedina. In Jerusalem, look for him in Mahane Yehuda north of Kikkar HaHerut. Watch for a new post next week. Zissen Pesach to all. 1. He was born Moshe Shertok in October 1884 in Kherson, Ukraine, then part of the Russian Empire. In 1906, he made aliyah with his family, living first in an Arab village, thus learning Arabic and becoming familiar with Arab customs. 2. In 1910, his family were among the founders of Tel Aviv. He was in the very first class to graduate from Herzliya High School. He went on to study law at Istanbul University, but his academic career was cut short by the advent of World War I. Fluent in Arabic, Turkish and German (and ultimately five other languages), he served as an interpreter in the Ottoman Army. 3. After the war, he became an agent for the Yishuv, working in Arab affairs and land purchase. He joined the labor party Ahdut Ha’Avoda and later Mapai. Between 1922-24 he attended the London School of Economics, where he was active in Poalei Zion. He edited their periodical Workers of Zion and later worked on Davar, Histradut’s daily newspaper, editing its English language weekly from 1925-31. 4. 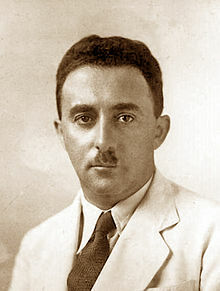 Upon returning to Palestine after his studies in England, he became secretary of the political division of the Jewish Agency. After the assassination of Arlosoroff in 1933 [see my post of May 8, 2013], he became head of the division, a position he was to hold until 1948. 5. He was the key negotiator with the British Mandatory during the critical time of the thirties and forties. In 1944, he was instrumental in establishing the Jewish Brigade, doing all he could to encourage Jewish volunteers. 6. In 1947, Sharett appeared before the United Nations General Assembly with regard to the partition of Palestine. He worked tirelessly to mobilize international support for the plan and was one of the signatories to the Israeli Declaration of Independence. 7. During the 1948 War of Independence he served as Foreign Minister for the provisional government. He led the Israeli delegation to the cease-fire negotiations during and after the War of Independence. He was elected to the Knesset in the first Israeli election (1949) and served as Minister of Foreign Affairs until 1956, establishing the diplomatic service and embassies, forging diplomatic ties with many nations and helping to bring about Israel’s admission to the United Nations. In 1952, he signed a reparations agreement with West Germany. 8. Sharett was eager to stabilize relations with the Arab nations and opposed any use of harsh tactics against border incursions [cf. my post of March 19, 2014]. In this, he came into conflict with his old friend and colleague, David Ben-Gurion. In December 1953, when Ben-Gurion retired from politics – though only temporarily, as it turned out – Sharett became Prime Minister and held the position for two years. During his tenure, a scandal arose (the Lavon Affair) over a covert operation in Egypt run (poorly) by the IDF; Sharett, unaware of it, publicly denied the espionage. This and his disagreements with Ben-Gurion caused his political downfall and retirement. 9. In retirement, he became Chairman of Am Oved publishing house and of Beit Berl College, both Histradut institutions. He represented the Labor Party at the Socialist International. In 1960, he became Chairman of the World Zionist Organization and the Jewish Agency. He died in Jerusalem in 1965 and is buried in Trumpeldor Cemetery in Tel Aviv. In the Ynet 2005 poll, he was voted 150th on the list of 200 greatest Israelis. 10. The Prime Minister’s Office lists several books written by Sharett, though I have been unable to verify this information elsewhere: Oar in Asia (1957), At the Time of Nations (1958), Booklet of Poetry Translations (1965) and Fading lights (196-). It is certain, however, that after his father’s death, Sharett’s son published Sharett’s diaries, making an important contribution to historical scholarship. A new edition of the diaries came out in 2007, with passages that had been left out of the earlier editions. In Tel Aviv, Sharett Street circles around HaMedina Square, intersecting with Arlosoroff, Jabotinsky and Weizmann, among others. 1. 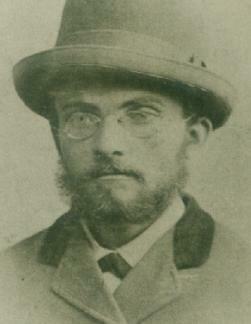 He was born Micha Yosef Berdichevsky, August 1865, in the Ukraine and into a family of Chasidic rabbis. His father was the rabbi in a town of impoverished Jews. He was to grow up to speak for a generation that was trying to navigate the rocky straits between traditionalism and modernism. 2. An early prodigy in Talmud, he began reading mystical writings and other materials that brought him into conflict with his teachers. He was married while still in his teens to the daughter of a wealthy, pious merchant. But when his father-in-law discovered that he’d been reading works of the Haskalah (Jewish enlightenment), Berdichevsky was forced to divorce his wife. 3. He ran away to Volozhin, to the yeshiva there, but again ran into difficulty because of his unorthodox reading. He was nineteen. A few years later, he published an article about these difficulties in the Hebrew language newspaper Hamelitz. The impassioned language he used – expressive of the conflict within him between tradition and assimilation – was to become a hallmark of his writing. 4. In 1890 he went to study in Germany and Switzerland, studying philosophy, notably the works of German philosophers, and earning a doctoral degree. His thought was deeply influenced by the works of Nietzsche and, to a lesser extent, Hegel. These were years of enormous productivity: between 1890 and 1900, Berdichevsky published ten books as well as articles and stories in Hebrew journals. 5. In 1900 he married and returned to his home in the Ukraine, where he was struck by the deterioration of traditional ways of life under the harsh conditions there. He returned to Germany in 1911 and lived there the rest of his life. The outpouring of stories, essays and novels continued, expressing always the ambivalence he felt between the wish to preserve Jewish tradition and the wish to live according to secular European culture. His aim, he said, was to repair the rent in the heart of the Jewish nation, making it possible to be both a Jew and a man in the modern world. 6. Berdichevsky’s essays included literary criticism and polemics against what he considered the dead weight of Jewish tradition, which he thought emphasized history over life. He spoke for a “rebellion of historically suppressed individualism.” Jews, he thought, had been detached from nature and physicality, their culture ossifying in exile. He hearkened back to ancient Israel – a time of political sovereignty and physical heroism – as a model; and he argued for a Hebrew literature that would become a means for Jews to retain their cultural and spiritual coherence while embracing the phenomena of modern life. 7. His fiction portrayed the difficulty of navigating a break from the immediate past while still continuing Jewish tradition. The characters in nearly all of his stories are either attempting to escape the weight of tradition or to survive within it, both with equally futile results. 8. In 1914, he began using the name Micha Yosef Bin-Gurion and continued to do so until his death in Berlin in 1921. In these later years, he devoted himself to collecting Jewish legends, myths and folktales, which he rewrote in a modern idiom, using a sparse, lyrical Hebrew, a kind of old-new tongue. This remarkable collection is perhaps, in the long run, his greatest contribution to Jewish literature. In Tel Aviv, you’ll find Berdischevsky Street running eastward off the northern end of Rothschild Blvd., between Marmorek and Cremieux. The moshav Sdot Micha, founded in 1955, was named for him, as well. It is located in central Israel near Beit Shemesh.